International Journal of Engineering Research and Technology peer-reviewed International research journal aiming at promoting and publishing original high quality research in all disciplines of engineering sciences and technology. 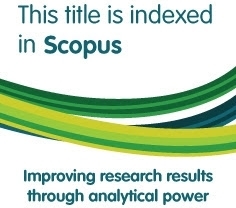 Indexing: SCOPUS, EBSCOhost, GOOGLE Scholar, JournalSeek, J-Gate, ICI, Informatics, JSTOR, academia, Research Gate. Publication Charges: Publication charges are applicable for accepted articles only.